In this article we are presenting an outline of the experience of the Moscow Downside Up Early Intervention Centre and our focus in our early support service. 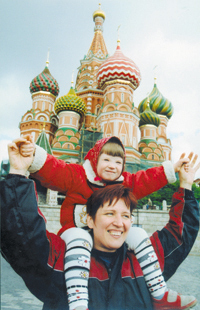 Mother-child interaction and, thus, child development are influenced by various factors, which have been described in Russian and international literature. In particular, it was shown that stress factors affecting the family make it difficult to develop positive parent-child interaction, which in its turn affects the child's overall development and hinders social adaptation. In addition to the well-known stress factors, typical to situations when babies with disabilities are born, in Russia there are some more stress factors present that we will indicate below. Our own experience proves the idea that support provided to the whole family (rather than to the child only) should be the primary focus of the work of an early intervention service. According to this principle, we have arranged our work so that each of its aspects (educational, social, etc.) as well as the work as a whole includes a psychological component in addition to a direct support provided by a professional psychologist. It means that the support system we have built might be considered a psychological model of family support. Family members are actively involved in implementing the child's individual programme. How are these requirements fulfilled at our Centre? Downside Up was established in 1996. Downside Up runs an Early Intervention Centre helping over 500 families from Moscow, other Russian regions and the Commonwealth of Independent States (CIS). The Centre is the only place in Moscow where direct services to children with Down syndrome are provided on a daily basis. 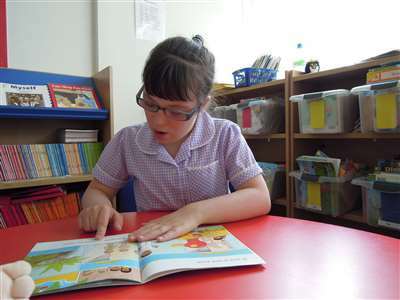 In addition to home and centre-based learning support for children from birth to seven years old the staff publishes books describing their experience, translates and distributes literature to increase awareness of Down syndrome and provides vital information to parents. The Centre also organises training and seminars for staff of maternity hospitals, kindergartens, babyhouses and rehabilitation centres. Downside Up is the operating name of Downside Up Limited, a registered UK charity no. 1055087, registered UK address as below, registered company no. 3026295, and of Russian Charitable Fund no. 67698. Russia: 115184, Moscow, Ozerkovsky pereulok, 15. First of all we should emphasise that there is a well thought-out system of stages in our work with the family. In our Centre families are offered professional advice and support from birth to the time when they go to school (in Russia children start school at the age of seven). So there are two stages in the work of the Downside Up Centre, and correspondingly, two types of programme: Early Intervention Programmes and Pre-school Programmes. Among the Early Intervention Programmes there is a maternity hospital programme, a home visit programme and an adaptation group programme, while the pre-school programmes include individual and group session programmes. It is important to note that on each stage psychological, pedagogical, social and informational support is provided to the families. A system like this allows us to work with the family for a long period of time gradually reducing the support, and helping parents of children with special needs to rely, more and more on their own resources. One more essential factor in achieving success is the presence of a multidisciplinary team which consists of experts in various subjects related to the development of children with special needs, in our case, - with Down syndrome. Whatever work the team members do in our family-centred model, they always consider the family as a system. Each team member gradually accumulates and begins to use expertise in closely related subjects. This allows us to arrange the work so that one professional having a wide range of knowledge and skills can be a home visitor capable to take a comprehensive approach to every child and her family. It allows the family to avoid multiple contacts with specialists, which is especially important in the early stages of the work with the family. When a home visitor plans her work with the family she takes into account the mother's state and infant's individual characteristics. We should note that in spite of all individual differences there are many similarities in mothers' state, which might be explained by similar circumstances under which the doctors in maternity hospitals in Russia break the news. Down syndrome is usually identified immediately after birth, and the mother is usually told of it before the genetic analysis is made. The news is often broken during the first hours of the baby's life. At this time, the mother is usually alone, lacking support from her family. Besides, she knows that she has to tell the news to her relatives. As a rule, the maternity hospital staff try to persuade the mother to give up the baby, and the mother can be prevented from breastfeeding. (In most Russian maternity hospitals, an old-fashioned system still exists when newborn babies are kept in a separate ward and are brought to their mothers only for feeding.) Nurses often do not bring the mother her baby with Down syndrome. Sometimes special medicines are used to stop lactation. Many mothers remember for a long time the attitude of others towards her and her baby, as full of contempt or disgust. It happens mainly because neither the mother nor the people around her have correct and up-to-date information about the causes of Down syndrome, abilities of children with this chromosomal abnormality and their developmental perspectives. For these reasons, many mothers of children with Down syndrome are deeply depressed. Infants with Down syndrome like other infants are ready to establish a primary interaction, however, their reactions and behaviour have some specific differences. Many of them have sucking problems which can interfere with the interaction during feeding; eye contact can appear a little later, and in some cases be shorter; their smile can be less expressive and appears later, vocalisation is not as active as in most other babies. In addition, infants with Down syndrome can have some sensory disorders. The infant's development can also be affected by a secondary issue relating to the mother's responsiveness . Sometimes the mother's perception of her infants responses can be delayed; she may not notice behaviours as easily and therefore they go unnoticed and not be responded to. This affects the development of mother-infant interactions. The most typical mother's behaviours are described below. In both cases, mothers who cannot "read" their infants' signals treat their peculiar behaviours as a lack of signals and do not respond to their initiatives. Instead, they guide them in all their activities. Therefore, the home visitor's role is to attract the mother's attention to her infant's signals and help to her learn to interact with the child and build relationships of cooperation. Sometimes the mother, who considers care for the child the meaning of her life, unconsciously resists her child's growing independence out of the fear of being needless. Many researchers who study relations in families of children with special needs indicate a similar attitude in mothers towards their teenage child with special needs, which displays itself in 'hyperprotection'. Our own experience shows that similar features of intercommunication can be noticed in the early years too. Mothers of children with Down syndrome are afraid of "going out". For instance, an ordinary event like visiting a health centre turns into an expectation of unpleasant and hurtful contacts with the outside world. Parents of children with special needs expect nothing good from contacts with others especially in the places where the subject of competence might be brought up (as it happens when parents are placing their children into pre-school or school). At this stage, so called adaptation groups play an invaluable role. At these group sessions, all the above-mentioned characteristics of the mother-child relationship become noticeable because of the presence of others. In a desire to show her infant to the best advantage the mother often tries to repress any manifestation of her independence, she restricts her natural behaviour and uses a directive style when she talks to her. Sometimes the mother interrupts the child's play, diverting her from one toy and giving another, even without using a verbal instruction. In our Centre parent support groups work permanently. A professional psychologist leads them. Recently a group of parents, whose children attend the Centre regularly, set up a Family Club, and unexpectedly most parents took up this initiative. It was especially remarkable that mothers of very young children who do not attend group sessions yet joined the Club too. We are far from considering the model described above a miracle cure solving all the problems families of children with special needs face. At the same time, we find it important to regard Early Intervention Centres not only as organisations promoting early development of children with disabilities, but also as Centres providing social and psychological family support. Bowlby, J. (1989, 1973). Attachment and loss. V. 1,2. N.Y.
Guralnick, Michael J. (1997). Second-Generation Research in the Field of Early Intervention. In The Effectiveness of Early Intervention. Edited by Michael J. Guralnick (pp. 3-20). Baltimore: Paul Brookes Publishing Co.
Yurtaikin, V. and Zhiyanova, P. (2000). Family Teacher and His Role. Doshkolnoe obrasovanie (Pre-school Education), 3, 91-103 (in Russian). Cicchetti, D. (1990). (Ed.) Children with Down Syndrome. A developmental perspective. Cambridge University Press. Dyad - a social unit made up of two people, e.g. mother-child, client-therapist, doctor-patient.